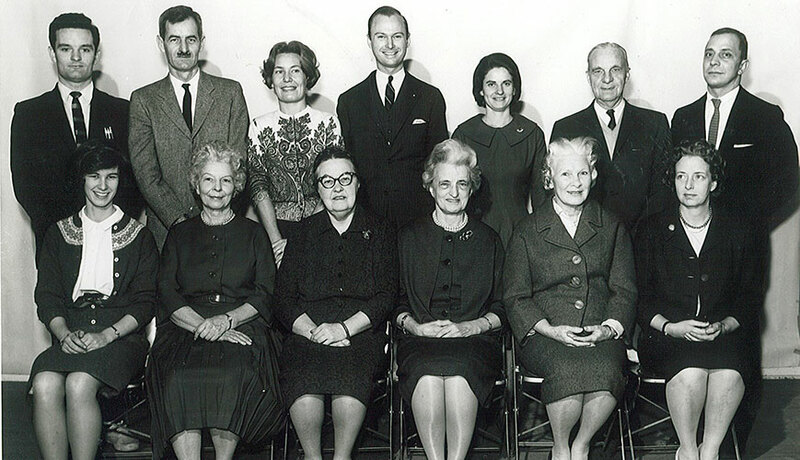 Staff photo circa 1960s, including the 'second founders' Harriette Young, Margaret Crane, Ruth Thorndike, and Jessie Maver who formed our first Board of Trustees when Miss Hyde's School was renamed The Town School in 1936. 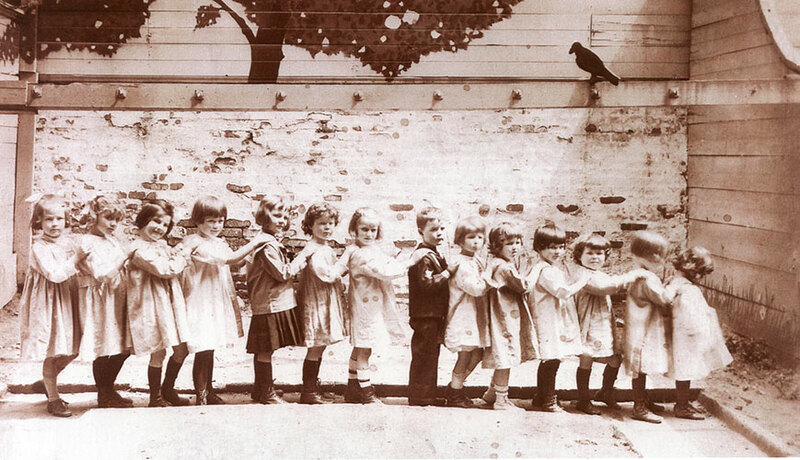 Students at Miss Hyde's school, 1914. 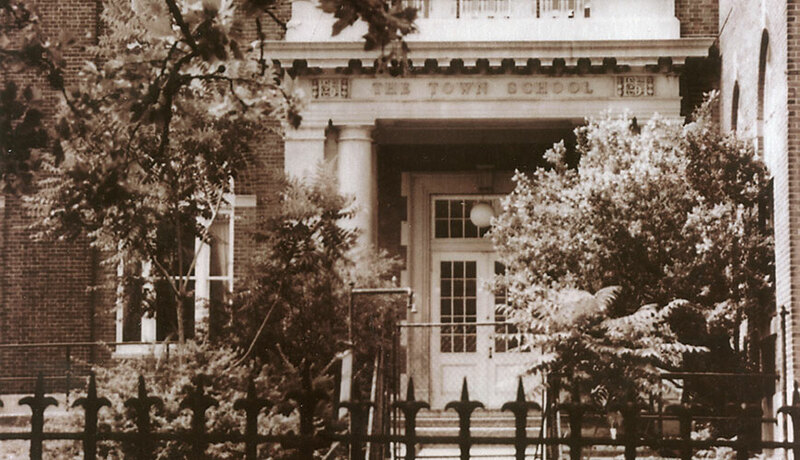 Hazel Hyde founded The Town School (then called Miss Hyde’s School) on E. 81st Street as a nursery school for 20 girls and boys. 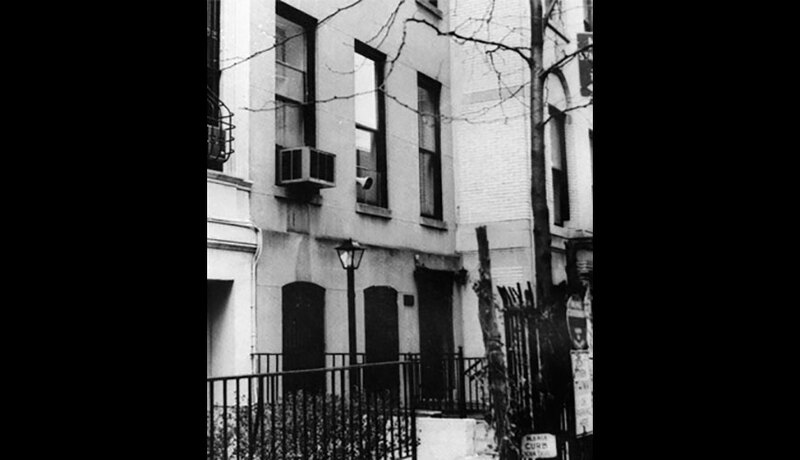 View of 540 East 76th Street courtyard, early 1960s - now our front entrance! 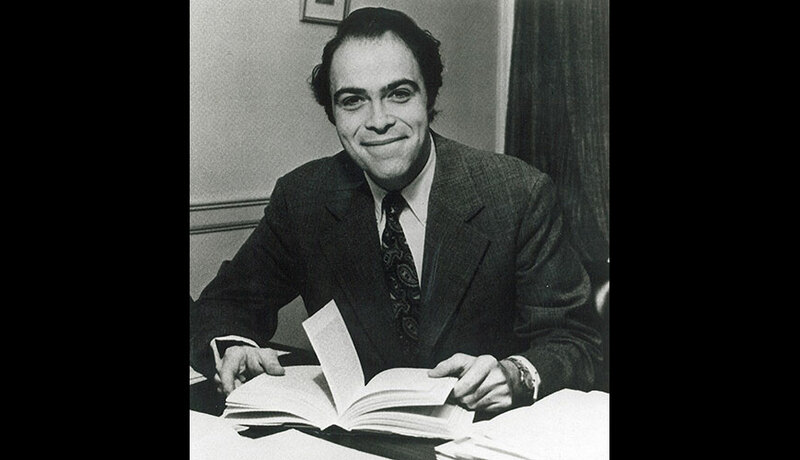 Walter W. Birge III, Head of School from 1970-1980. We sold our air rights to the Glick Development Corporation in 1980; the proceeds established our endowment, now valued at nearly $40 million. Early Parents' Association members in 1951. 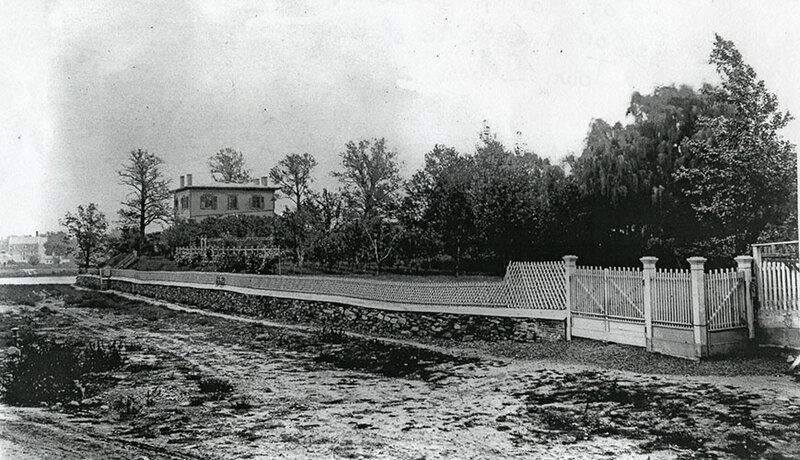 Looking eastward on 76th Street in the 1870s. The Hamlin Babcock House seen here is the site of the future Town School. 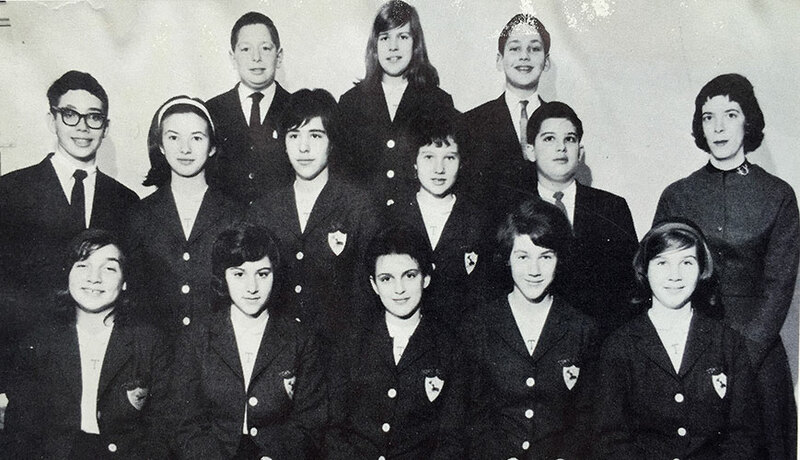 Town's first 8th graders, class of 1962. 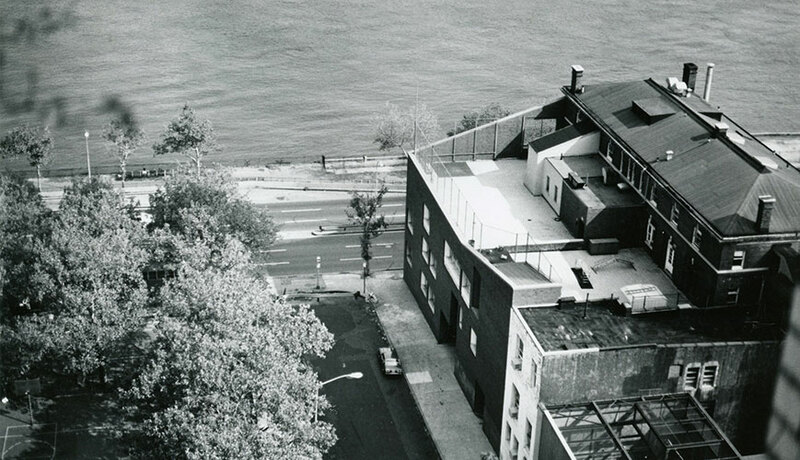 An aerial shot of the new Bartos Building in 1970 (replacing the front courtyard) providing additional space for classrooms and our 4th floor play roof. 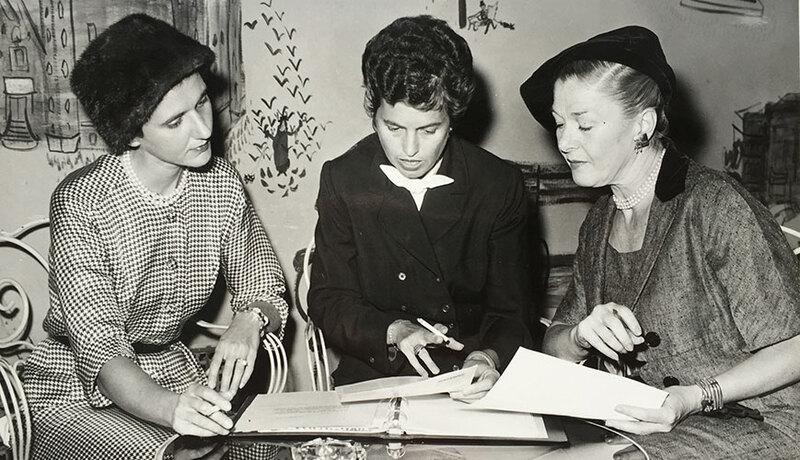 It all began in 1905 when a young woman named Hazel Hyde came to New York City after studying at San Antonio Academy and Ohio Wesleyan to continue her studies at Columbia University. As William Younger wrote in Town’s 90th Anniversary Book, “…Interested in psychology, she (Hazel Hyde) moved in a social circle composed mostly of people in the medical profession, and it was a group of doctor friends, impressed with her ideas about education, who persuaded her to open her own school. Miss Hyde’s educational philosophy was strongly influenced by the writings of John Dewey, the father of progressive education. The following is a statement of The Hyde School Philosophy, as published in the 1935-36 calendar: The Hyde School is progressive but not radical. Its object is to create an environment in which the child may develop the best that is in him and give him a thorough understanding of every subject he studies. A new name. A new home. In 1936 a group of four teachers that came to be known as our 'second founders' - Margaret Crane, Jessie Maver, Ruth Thorndike and Loise Wright - worked with Miss Hyde to re-incorporate the school as The Town School. 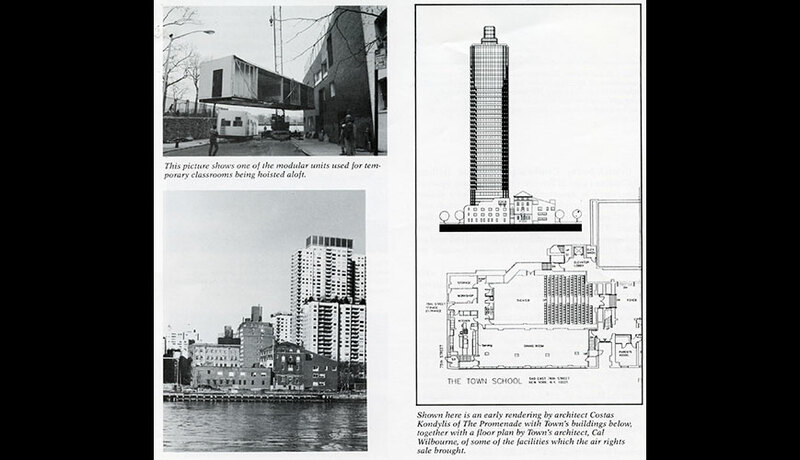 In the 1950s Town began adding grades, and eventually moved to our current home at 540 East 76th Street in the late 1960s. The Town School's entire community of parents past and present, alumni/ae, grandparents, faculty and staff came together to celebrate our 100th anniversary in 2013-14. The year commemorated Town’s extraordinary history and served as a catalyst for envisioning our second century. Having completed our first 100 years, we look back on a history enriched by growth and change as well as a strong sense of continuity which pervades the school's ethos and community today.